This is the fourth and newest in the whodunit series, on an introductory launch price. All the books are stand-alone, and can be read out of sequence. The first three have collected a loyal following and attract those who like the armchair detective style – lighthearted, with engaging characters who live in a retirement village: think feisty Jessica Fletcher, though, rather than gentle elderly Miss Marple. The four main characters are golden girls Vivian and Edge, bon vivant William, and the sardonic dishy Donald, but in this book the main focus is on the lively and often bitchy interaction between Edge and her stepdaughter, actress Fiona Bentwood, who is performing in a successful show in the Festival until a murder rather too close to home forces a temporary truce. It doesn’t last long, Fiona accuses her stepmother of being behind the murder and the story is finally wound up against the backdrop of the Festival – it’s good fun. If you like Hamish MacBeth, and the No. 1 Ladies Detective Agency, the Grasshopper Lawns novellas are in the same sort of ballpark. 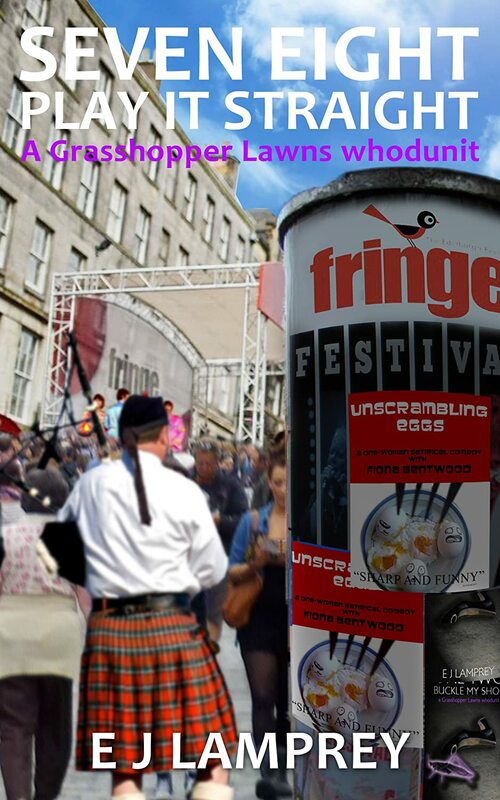 The Edinburgh Festival is a unique experience – no-one could have a series based near Edinburgh without including the festival!